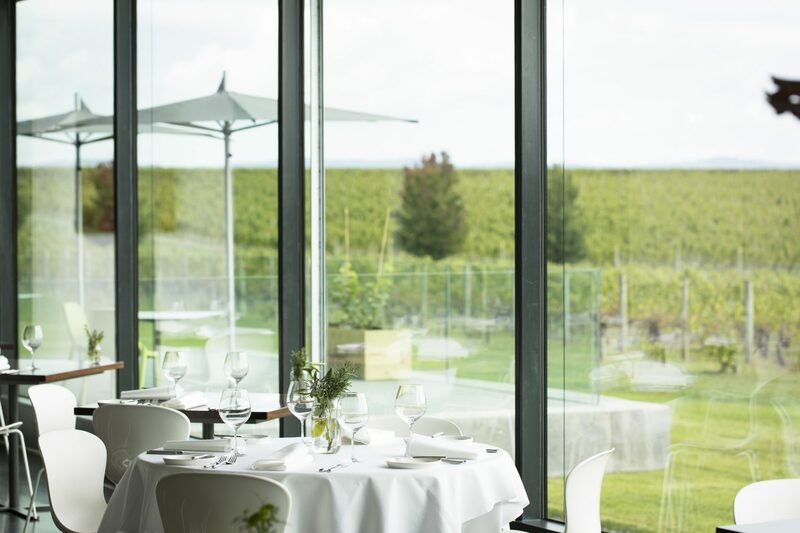 Located in the heart of the Yarra Valley, Oakridge’s One Hat Restaurant showcases the best in Yarra Valley produce. 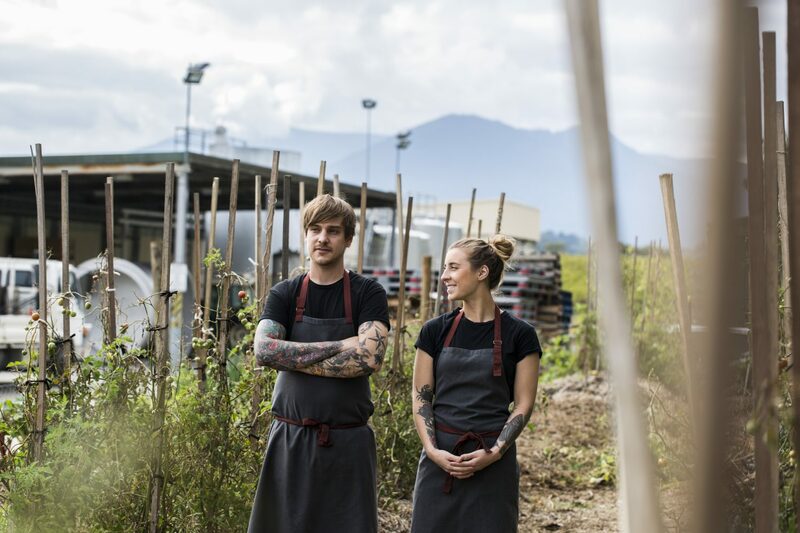 Inspired by their surroundings, Co-Executive Chef’s Matt Stone and Jo Barrett construct their seasonal menus based upon the thriving ingredients in the Oakridge Kitchen garden, as well as wild produce they discover on his foraging and fishing excursions around the region. 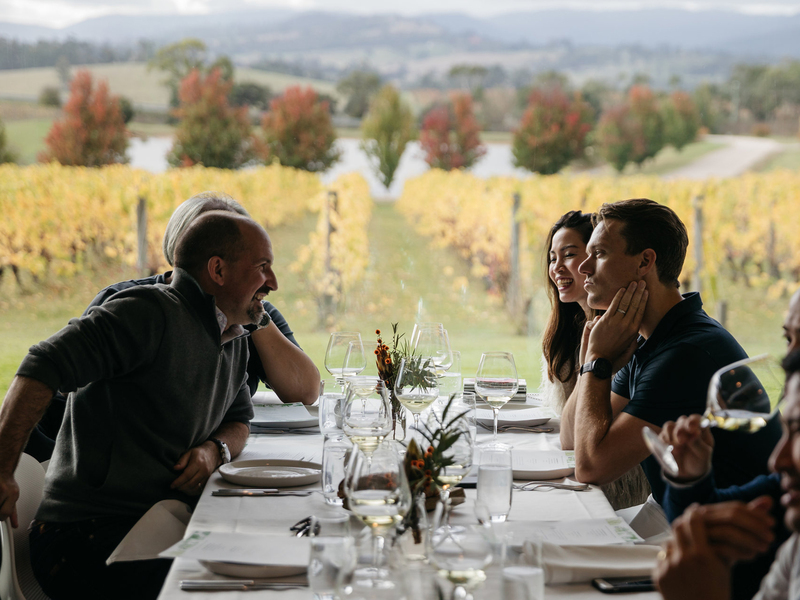 With unobstructed views of the Oakridge vineyard and the Yarra Valley, and the option of matching award winning wines – experience the best of farm to fork dining in the Yarra Valley. Please visit our Functions page for more information regarding special celebrations, corporate functions and private events. 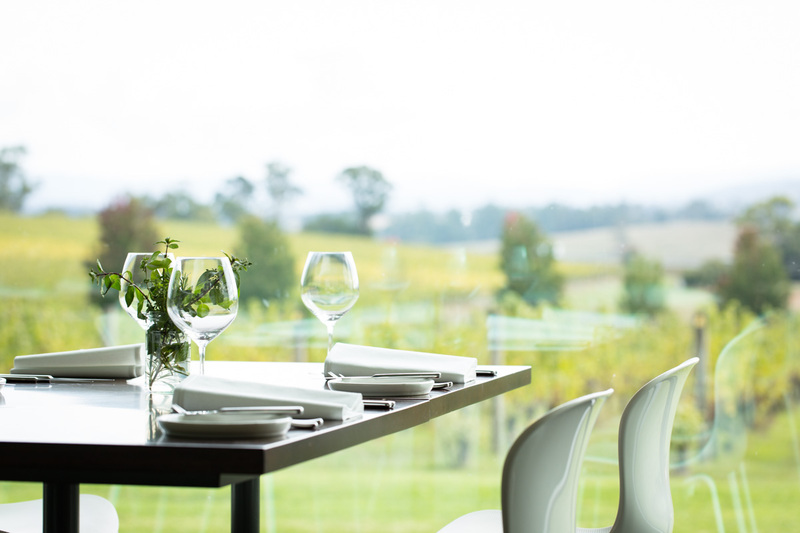 Visit the Oakridge Restaurant and Cellar door and choose from the à la carte menu for lunch on weekdays and two or three course menu option on weekends for $70.00 and $85.00 per person respectively. 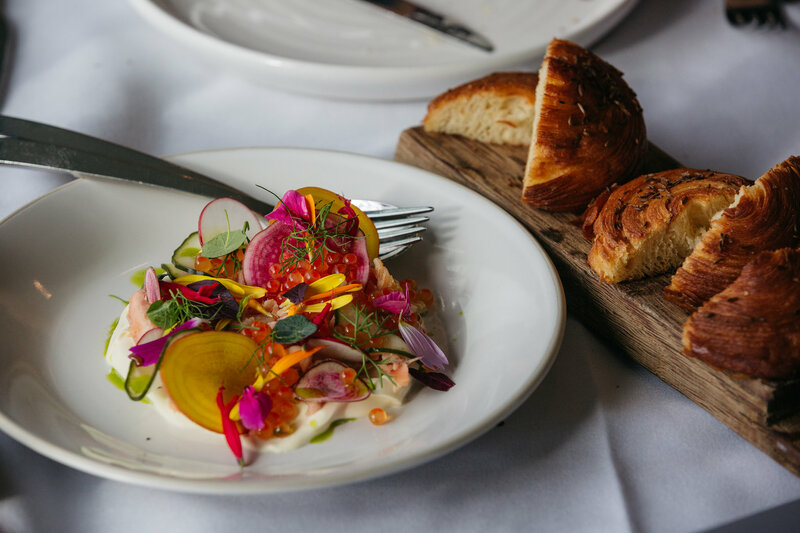 The Oakridge cellar door and restaurant are wheelchair friendly, and special dietary requirements are happily catered for upon request. A children’s menu is also available and children can enjoy outside games like giant chess, jenga, bocce and more. Please note, this is a sample menu and subject to change. 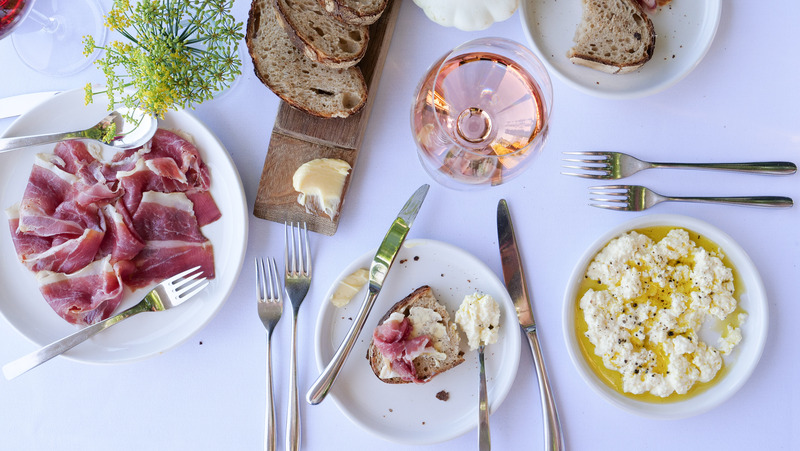 On weekends, our dining room offers a two or three course lunch based on the above menu. 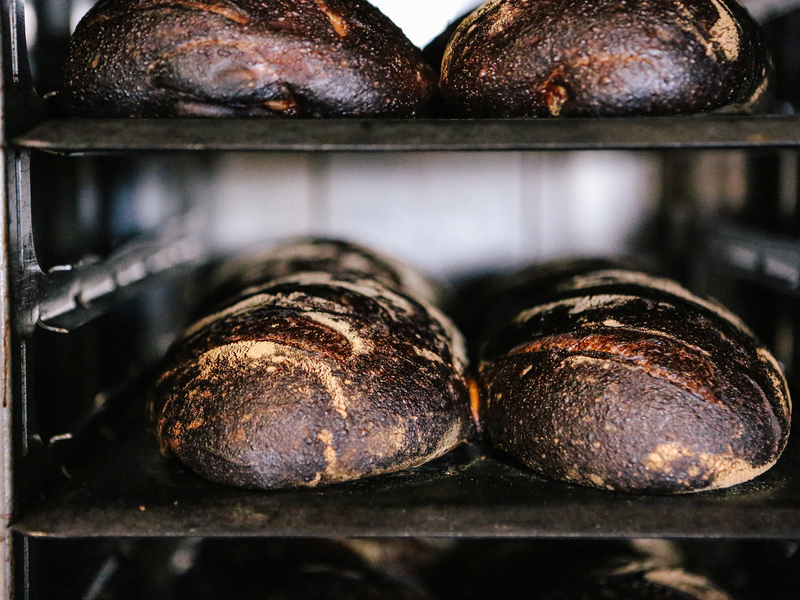 that utilise the best ingredients sourced daily from local producers and our own restaurant garden. 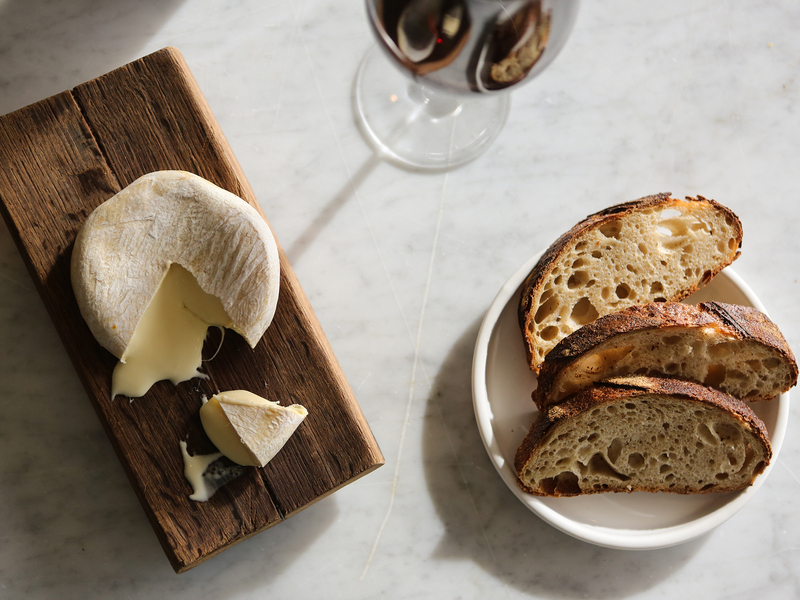 For groups of eight or more, lunchtime dining options start at $90pp. To enquire about a group booking, please call (03) 9738 9900. We highly recommend booking to avoid disappointment. To make a booking please call Oakridge on +61 3 9738 9900 or use the online booking facility below and a member of the Oakridge team will be in contact with you shortly. For all groups bookings larger than 8 guests please complete the enquiry form here. Alternatively, you can read more about Private and Corporate Events here. 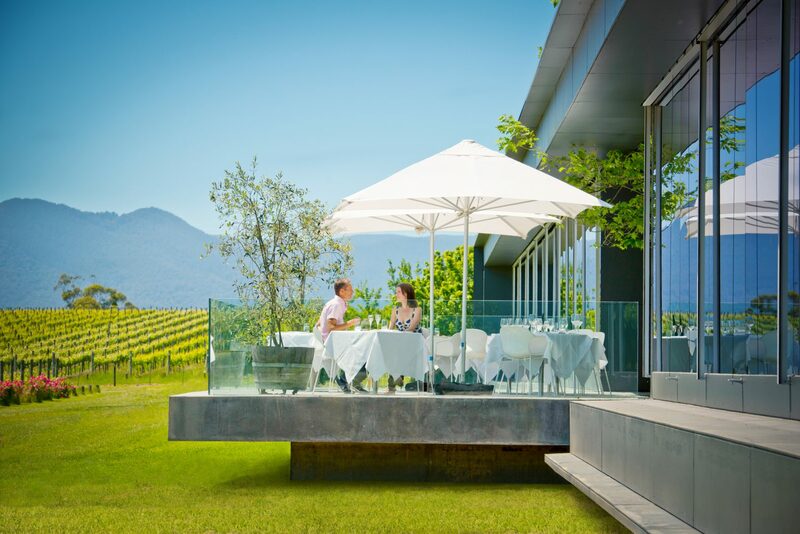 Oakridge Gift Vouchers are available in any amount for restaurant or cellar door and are valid for 12 months. Your Oakridge gift voucher can be emailed as an electronic gift card to be printed at home, or posted with your personalised message in our signature sleeve. You may purchase set amounts below, or contact us on +61 3 9738 9900 or via online form here to request your own individualised amount. 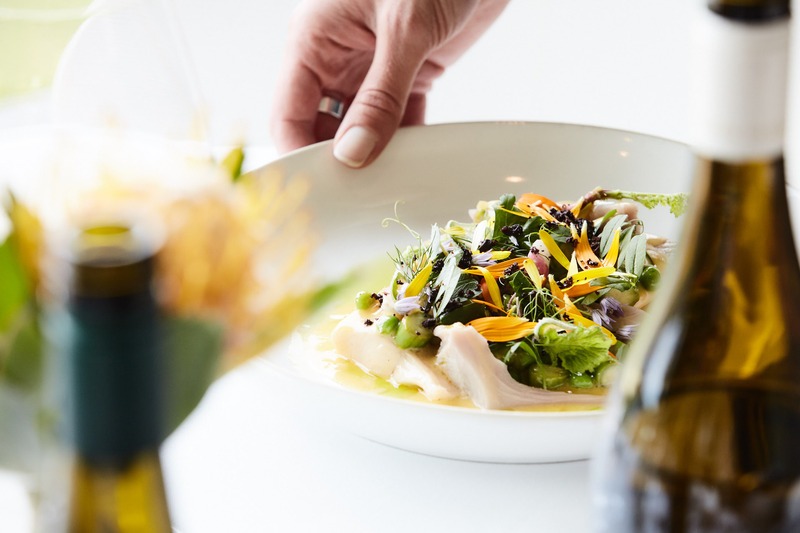 Established in October 2015, a vibrant kitchen garden grown at the back of the Oakridge property provides majority of the fresh produce that appears on the Oakridge restaurant menus. Created by Oakridge Viticulturist and green thumb, Adrian Guerin, the garden derives much of its sustenance from the rich river soils aided by vintage pressings. 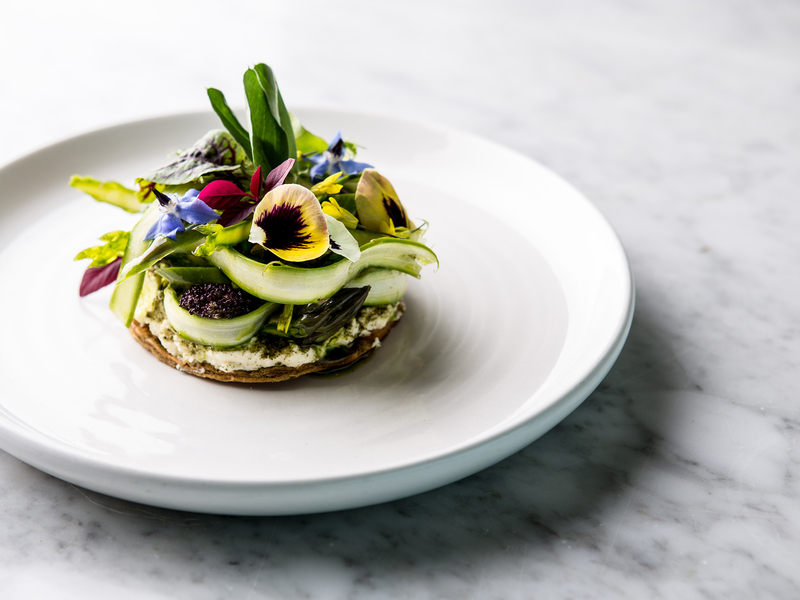 Filled with an abundance of vegetables, herbs and flowers grown from heirloom organic seeds, the garden inspires Head Chef Matt Stone’s sustainable, innovative and seasonal dishes. 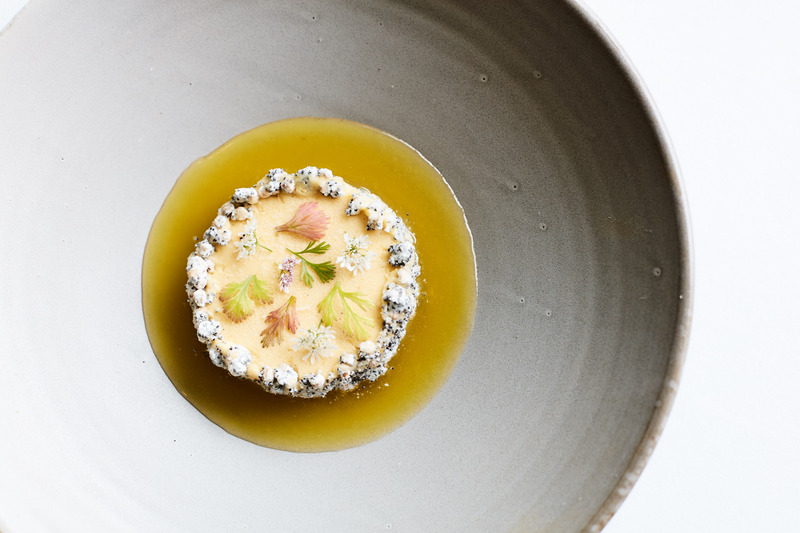 Co-executive chefs, Matt Stone and Jo Barrett, lead the Oakridge kitchen team into their chosen territory of modern and innovative Yarra Valley cuisine. 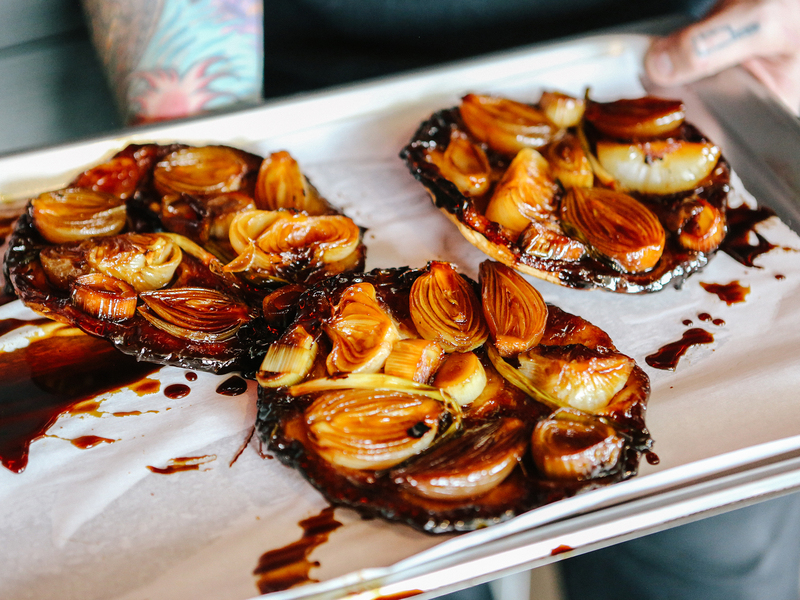 The duo share similar philosophies in sustainable and hyperlocal cooking, with a commitment to using only ingredients that are locally sourced from the Yarra Valley or grown in our restaurant kitchen garden.